If there is one thing you can always count on, it’s Kayla’s culinary creativity. Having already perfected the Breakfast Burrito and created a Desert Breakfast, she moved on to something new. 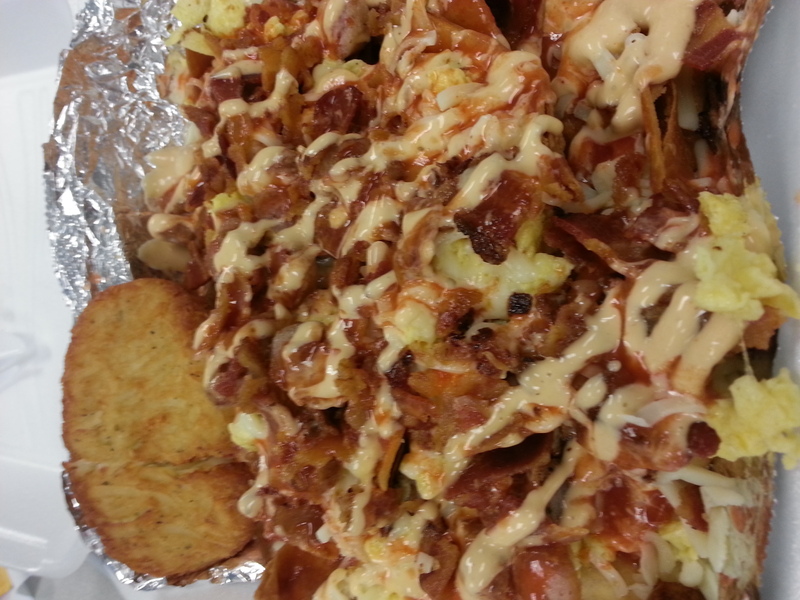 What she calls “Breakfast Nachos”, which are far more of a brunch for two. They would make a perfect match to a quiet Sunday and a pitcher of Bloody Mary. So much so in fact I could almost taste the Bloody Mary while I devoured them. 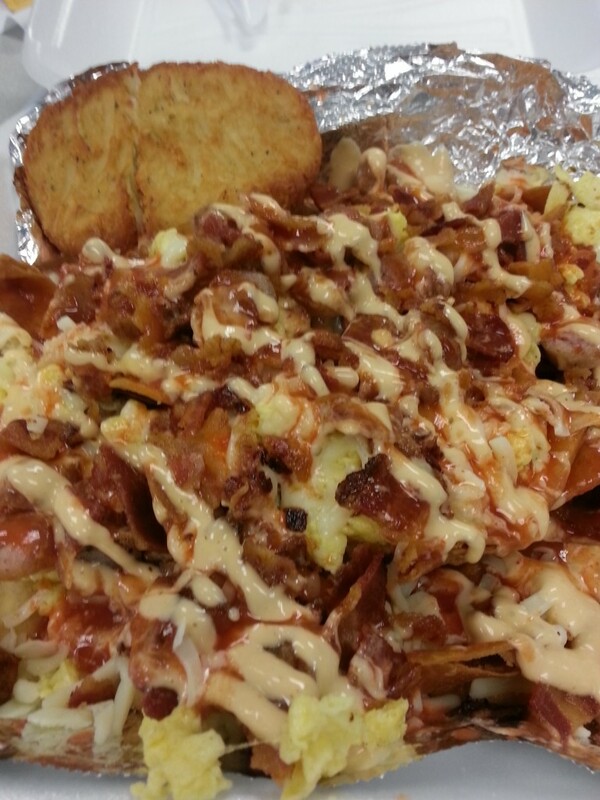 Complete with bacon, sausage, egg, cheese, and a hash brown garnish served over fried tortilla chips, there is enough food here to summon a food coma from the perkiest of patrons. The combination of Chipotle sauce and hot sauce liven it all up nicely and increase the suggestion that a Bloody Mary should be included. Now I just wonder how she does with a Bloody Mary…….